Around the world, the red circle and Giraldilla weathervane are recognised for representing the highest quality in Cuban Rum. Havana Club continues to make a consistently delicious, fruity and fresh Cuban rum. This is one of the best examples of their fabulous spirit, with this bottling’s unique depth of flavour coming from repeatedly blending and maturing different rums, creating a marvellous consistency of flavour. The Primer Maestro Ronero (Master Rum-maker) of Havana Club has declared this bottling the “great classic” of Cuban rum. Drinkers should expect a deliciously dark rum, with deep dried fruit and floral notes, spicy peppery and toasty flavours and a core of dark brown sugar. 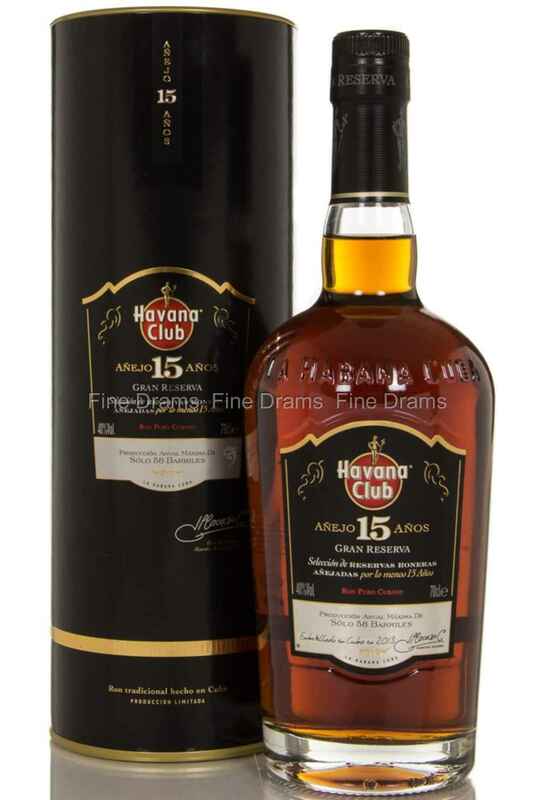 One of the all time greats from the Cuban rum scene, fans of Havana Club have to try this.